Floors define a space. They make a lasting impression. Floors that are well cared for can make the whole space seem clean and organized. No matter what type of floors you have, we have the commercial cleaning equipment and the trained personnel to handle the job. With the most advanced techniques in steam cleaning, odor and stain removal, protection, and more, we can clean your carpets, as well as your upholstery and drapes. For high-traffic areas, especially in food service or retail locations, deep cleaning the carpets might be necessary every two weeks or so. For other locations where there is less foot traffic, you may only need to deep clean the carpets annually. 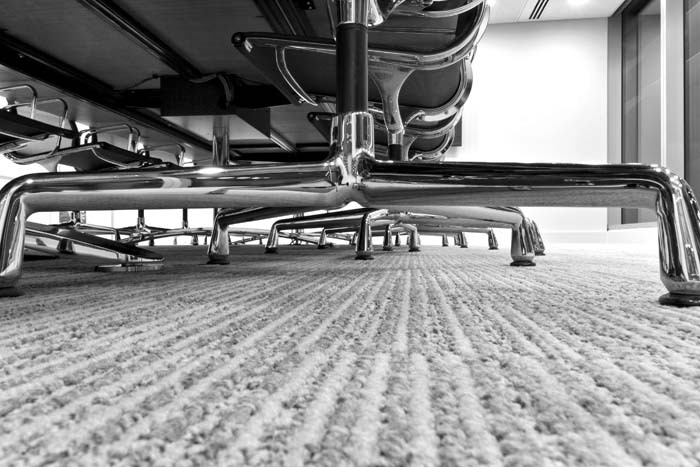 Deep carpet cleaning may also help remove problem areas after a spill or accident. Area rugs often need special care, which our certified cleaning technicians can handle at your location or in our state-of-the-art plant. We’ll help preserve the beauty of your marble, granite, limestone, slate or terrazzo floors using the most advanced equipment available for cleaning, polishing and sealing. Your floors can look like new after our team of cleaning professionals finishes stripping, sealing, waxing, or buffing them.